Year 8 had a tremendous experience at Hampton Court Palace. They visited the Tudor Kitchens to discover what was involved in cooking a feast for Henry VIII and experienced live drama as the story of Thomas Seymour was acted out around the palace on their tour. 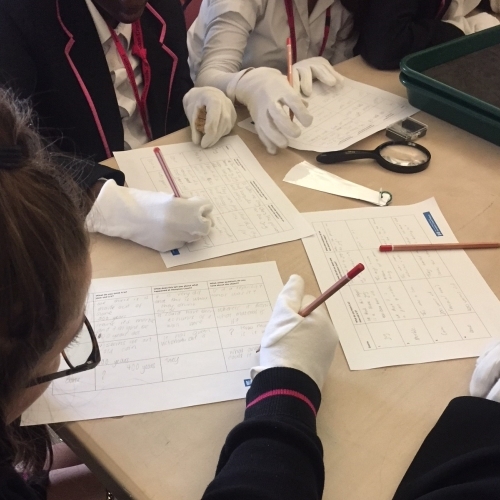 Students were treated to a workshop with a professional archaeologist where they got to examine real historical sources, some of which were over 5000 years old! To top off the day Year 8s had to find their way into and then out of the famous Hampton Court Maze; we are pretty sure they all made it out but if you hear shouting coming from the maze late at night then maybe, just maybe, we left one student behind. Alternatively, it could be the ghost of Katherine Howard that has haunted the palace for the last 500 years!